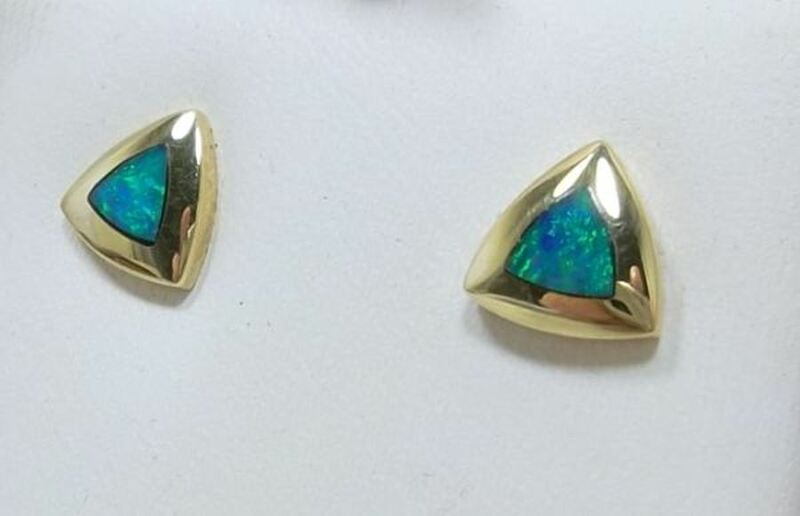 These are solid opals set in beautiful 18k Gold. They are stud earrings for pierced ears. 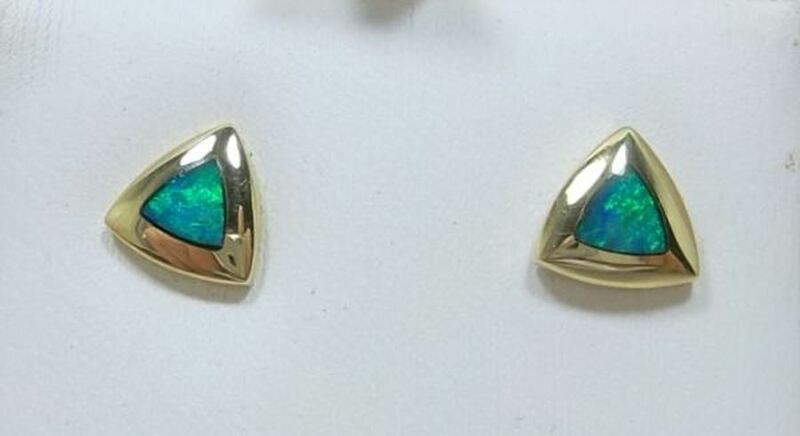 The opals are approximately 5 mm wide.